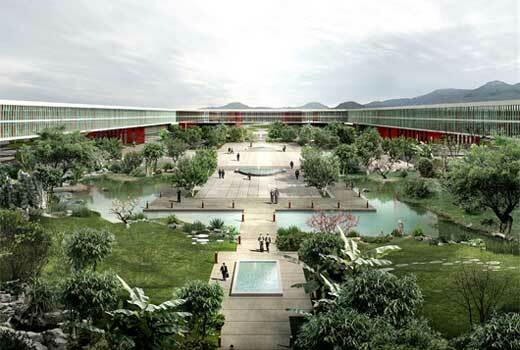 The Taipei Arts Centre is expected to be completed in 2013 and the construction will spend £84 million. Designed by OMA (as a result of an international competition), the project covering 40,000sq m to accommodate a 1,500-seat theatre and two 800-seat theatres. 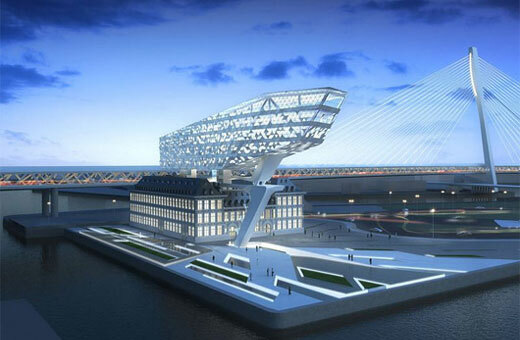 Zaha Hadid has won the competition to design the headquarters of Antwerp Port Authority in Belgium. 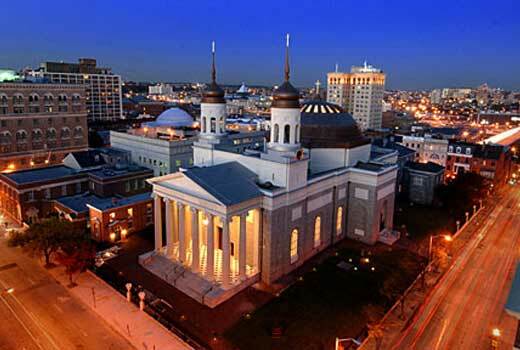 Covering 12,000 m² of floorspace, the project is expected to be completed in 2013 and will accommodate 500 people when finish. The construction will spend 31.5 million euros excluding VAT and architect’s fees. 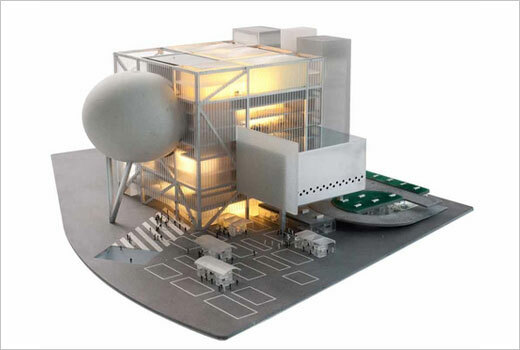 The design of China Life Insurance R&D Center was proposed by Henn Architekten for a competition. Located in Beijing, the project adopting the Chinese traditional buildings and translates them into modern design. Consists of of a main building, a research and laboratory building and a training center with a connected boarding house, the complex ringed with areas of open water. 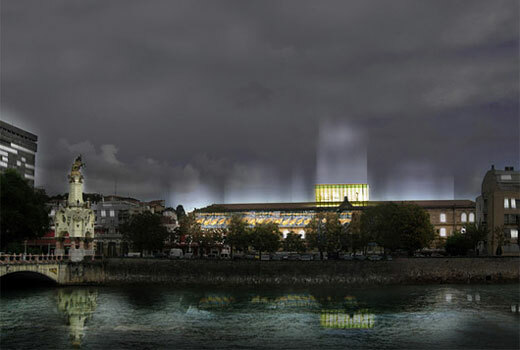 The International Competition for the Architectural Renovation of Tabakalera has selected the Jon Montero and Naiara Montero’ design as the first winner. The competition aimed to get the best proposal to turn the 90 years old Tabakalera building into an international contemporary culture centre. 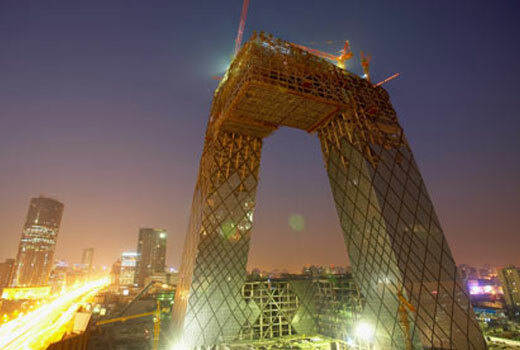 Actually the structure of CCTV Tower was completed in time of the 2008 Olympics, but it will be functional by the end of 2009. Designed by Rem Koolhaas and Ole Scheeren, with Cecil Balmond as design engineer, this spectacular building will become the headquarters of China’s state television company.